Sky is still missing . Shes been missing since january 14 , 2019 . She accidentally got lose on old cave spring rd , rome ga 30161 . I was told she was last seen on park rd SW rome ga 30161 on January 16 ,2019 at 8 am . 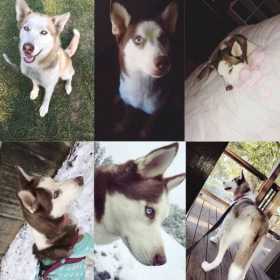 If anyone has seen her or found her please contact (706)591-5369 or (337)459-3628 Sky is a husky . Shes a female . Shes about 2 or 3 yrs old . Shes spayed and also microchipped . Shes brownish/reddish and has blue eyes . Shes wearing a burgundy k9 explorer collar .